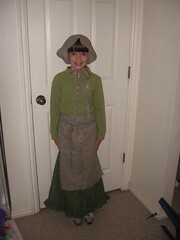 Valerie's school does a pioneer trek each year for the 4th graders. We made her skirt this week (in her favorite color of course). Becky got to go and help out. It was a ton of fun. Scarlett got baptized on May 3rd. We were really glad that both sets of grandparents could be there as well as some aunts and uncles. 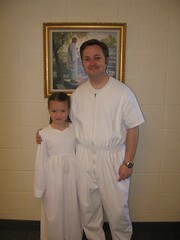 We had a really good baptism program, and had a really fun and busy day. 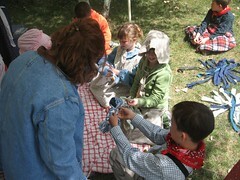 The kids had a great time playing with cousins this week. We went to Sugarhouse Park for Yung and Drew's graduation party. 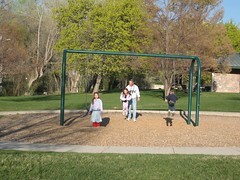 It was kind of windy, but the kids had fun. They played at the pond feeding the ducks and played at the park. It was Scarlett's birthday also.